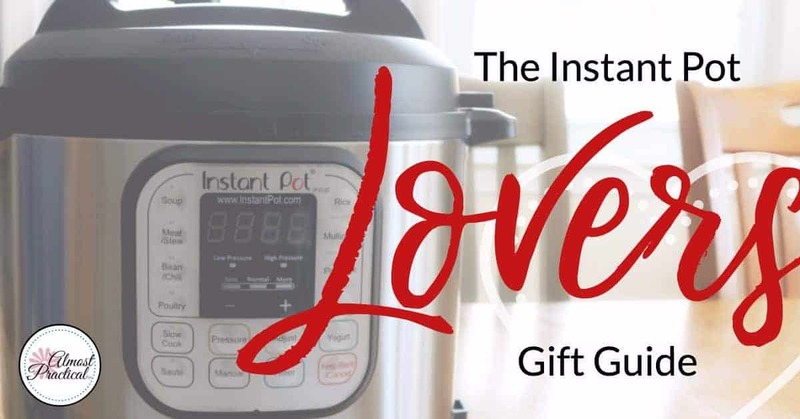 If you have an Instant Pot lover on your gift list, then a few of the Instant Pot accessories in this gift guide will make your holiday shopping super easy. I make just about everything in my Instant Pot (I actually have 2 of them!) and I can never have too many accessories. I am not going to assume that the Instant Pot lover in your life actually has an Instant Pot yet. By itself, an Instant Pot makes a fabulous gift. But there are a few different models out there - and it can be kind of confusing to buy. Use this guidance to find which Instant Pot is right for you. If your special chef already has an Instant Pot, then gifting some accessories is definitely the way to go. You can always use an extra silicone ring, steel pot or nonstick insert, glass lid, steamer or, well, you name it. Very important! - Just make sure that the accessory you decide to purchase is compatible with the size and model of the Instant Pot that you have. An extra inner cooking pot for your Instant Pot is actually one of the most useful accessories. Too often, you make something in your Instant Pot and when it's done, you want to start a second recipe. But the inner pot is obviously being used. You could buy a whole new Instant Pot (like I did) or just buy a second inner cooking pot. Along those same lines is a nonstick inner cooking pot for the Instant Pot. While the stainless steel inner pot is nice, sometimes you just need a nonstick surface, especially for starchier foods like rice and potoatoes. The Instant Pot comes with a lid that you use for pressure cooking. This lid can also be used for recipes that do not require pressure cooking. However, it is bulky and cumbersome to work with. It is nice to have a glass lid (which does not come with the Instant Pot) for recipes that you slow cook or if you want to store your cooked food in the fridge right in the inner cooking pot. The one quirky thing about the Instant Pot is that the silicone ring tends to take on the odors of the foods that you cook. The best solution is just to buy an extra one to use when making more bland foods. I like this set of silicone rings because the colors make it easy to differentiate between them. This spill proof silicone lid for the Instant Pot is also a useful accessory. You may think that you won't store food in the inner pot - but rather use a separate container - but you might be surprised. When I make yogurt in the Instant Pot, I put the whole inner pot right into the fridge - and a silicone lid like this would come in handy. Speaking of making homemade yogurt - if you do, then this yogurt strainer is a must. Somehow, my Instant Pot yogurt is always on the runny side of things. The easiest way to strain it is to use these yogurt strainers from Euro Cuisine. I like the one pictured here with the stainless steel mesh. One of my readers recently asked me about making cake in the Instant Pot. 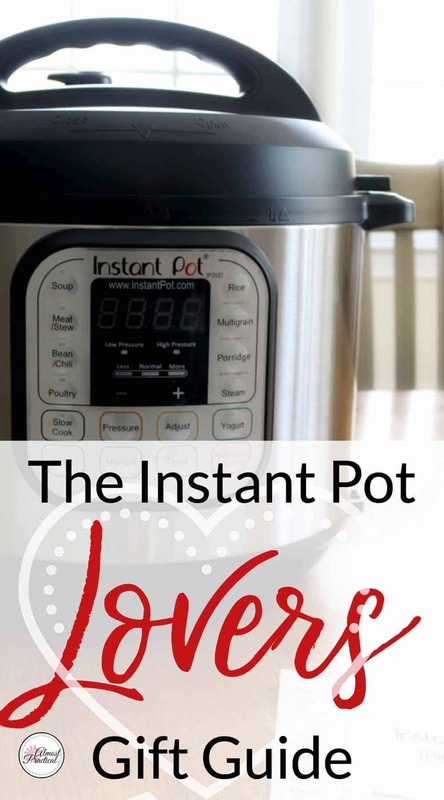 I have always wanted to try it, but have not yet used my Instant Pot for baking. Based on Amazon reviews, it seems that this springform pan will fit in the 6 Quart Instant Pot and is a good option for making cakes. Normally, I probably wouldn't splurge on mitts for the Instant Pot. But I would enjoy receiving these as a gift. If you are putting together a gift basket of Instant Pot goodies, these mitts would fit right in and add a fun pop of color as well. So, you picked out a few Instant Pot Accessories for the lucky chef in your life. Now all you need is a great cookbook. But I have put together a collection below for you to choose from. Give something useful and practical that they wouldn't normally buy for themselves. If the person that you are buying for doesn't already have an Instant Pot, and if it is within your budget, then get them one! If they are already a proud owner - then pick from one of the many accessories and cookbooks. You could even use an inner pot as a "basket" and fill it with an assortment of silicone rings, mitts, and cookbooks. Very cute!